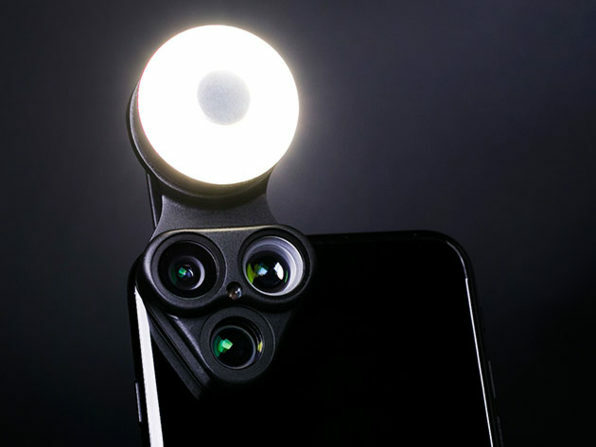 We have a deal on RevolVam, a lens set for your iPhone (or Android device) that packs three lenses, an LED light, and a selfie mirror, all in one. Lenses include wide angle, fisheye, and macro lense, and the LED light is removable. It’s $34.99 through us.